Retina scans are a great way for a Miami Beach eye doctor to gather more information about a patient’s health. The retina is located in the back of the eye, and it’s where light lands as it passes through the structures of the eye. The retina is responsible for transmitting what the eye sees into electrical signals that get sent to the brain along the optic nerves. By inspecting the retina more closely, an eye doctor in Miami will be able to determine many things about a patient. The retina is unique to each person because it’s comprised of complex neural cells and tissue, which makes it something like a person’s fingerprint; even identical twins don’t have matching retinas. Scanning the retina is great for an eye doctor in Miami Beach to determine health issues with, but they are also used as a security precaution as well. Because each person’s retina is unique, highly secure facilities are sometimes equipped with retinal scanners. ● A retina scan may reveal cancer in some people. A dark spot may indicate that melanoma is present and growing in the eye, which needs to be treated right away. ● A swelling or leakage in the retina may indicate diabetic retinopathy. This is a condition that needs to be treated immediately because it can lead to total blindness. ● A retina with spots on it may indicate that a person has high blood pressure and it’s affecting their health. ● A retinal scan will be used in the case of a suspected retinal detachment. Figuring out exactly what needs to be done to replace the retina into its correct position is critical. If your doctor has suggested that you get a retinal scan, then you would be wise to take their advice. 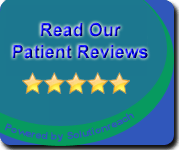 The scan procedure is quick and easy, and it is completely painless. It’s actually even easier than the scans that are done to determine if people need eyeglasses in Miami Beach. Simply look through a device and your doctor will be able to see just about everything in your eye that they would need to see. You may need to have your eyes dilated in order to see into the back of your eye more easily, but this is a temporary effect and it won’t be too overwhelming. Your doctor will be able to determine many things by looking at your retina, so be sure to get one if they suggest it.